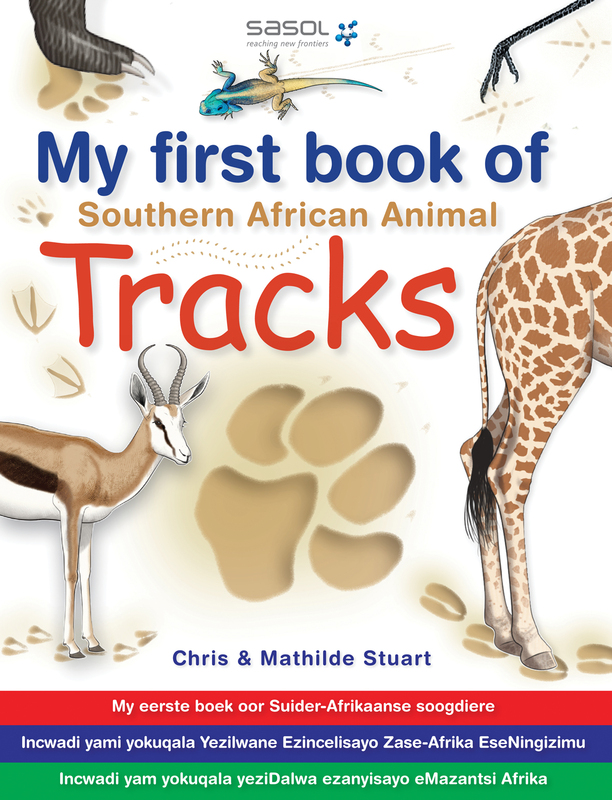 My first book of Southern African Animal Tracks introduces 55 different types of animals and the footprints they leave behind. The animals and birds included are those that you are likely to find on visits to nature reserves or game parks – or even in gardens. A short description in four languages of each creature and its prints. This introduction to the intriguing world of tracking will keep children happily absorbed for hours at home or on trips to view wildlife. The text in four languages expands the readership and promotes multilingualism.